Smartphone adoption in the U.S. continues to rise as the average cost of such devices is trending down. On Monday, the NPD Group noted that 59 percent of all U.S. handset sales in the third quarter of 2011 were smartphones, numbers that match what some of the carriers have told us. NPD also says that the smartphone market has shown four consecutive quarters of declining prices, with the average handset purchase now costing $135. Consumers actually plan to spend more but often end up choosing a lower-cost device. Bear in mind that the up-front cost of a smartphone is typically subsidized by the carrier in return for a contract commitment. However, the data suggests a few interesting trends on smartphone pricing. First, many of the high-end handsets over the past few years have retailed for $199 with contract. But we are in the midst of a change. It wasn’t until 2011 — with Verizon’s (s vz) LTE rollout in particular — that some devices were priced in the $249 to $299 range. The other exception, of course, is Apple’s iPhone (s aapl): The newest base model has always cost $199, while iPhones with more storage capacity boost the price. Second is the trend of consumers’ shopping around for less-expensive hardware, because the capabilities of today’s lower-priced handsets are often on par with last year’s high-priced smartphones. My Nexus One(s goog) — $199 on contract or $529 without — was cutting edge in Jan. 2010 as one of the first phones with a 1 GHz CPU. This year, phones with such a chip can be had for half of that cost or less. For a first-time smartphone buyer, there’s no need to spend $200 or more on a phone that has more capabilities than needed when a solid device can be had for under $100. NPD says that 64 percent of consumers planning to spend between $200 and $250 on a smartphone end up buying a cheaper device. That would imply to me that as the smartphone adoption rate rises, fewer high-end smartphones above $200 will be sold compared to those priced under $200, as feature-phone users — the remaining audience for new smartphones — are opting for capable but less-expensive handsets. Sure, there will always be consumers in the upgrade cycle that step up to the latest dual-core handset with a high-definition display, but they don’t represent the bulk of the user base, judging by these trends. I suspect that’s why we will continue to witness the rising market share of companies that aren’t household names in America. 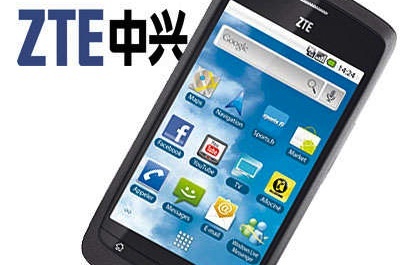 ZTE and Huawei, for example, are determined to grow their U.S. smartphone sales through low-cost but solid smartphones that appeal to the masses. In September, Huawei introduced a $29 handset that in many ways is comparable to my Nexus One. Of course, there’s no substitute for a solid experience, even on the $199 and up smartphones. Perhaps that’s why NPD points out that Apple’s iPhone 4 was still the top-selling smartphone last quarter, followed by the reduced-cost iPhone 3GS. Not sure where you got the price of 549 for a Nexus as you could oder on directly from google at the time for apx 450$. Since then the price has only gone up, and the nexus prime is now selling for 800$ directly from samsung, yes you can get it cheaper from a provider. So the price of the top model phone has gone from 450 to 800. safe to say.